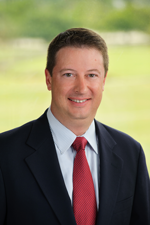 John Hornberger is the Chief Executive Officer of the Orthopedic Center of Palm Beach County. John has over 20 years of proven experience managing large medical groups and has achieved consistently successful results in both private practice and corporate medical settings. John specializes in healthcare business analysis and improvement, operational analysis and improvement, strategic planning, and physician relations as well as practice mergers and consolidations. John has a Bachelor of Science degree in Business Administration from Kutztown University of Pennsylvania and a Masters in Business Administration degree from Campbell University in North Carolina.